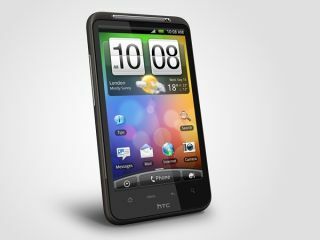 The head of HTC has said that the Taiwanese smartphone maker will definitely launch a next-gen mobile broadband-enabled handset in 2011. The new devices will feature LTE technology – standing for Long Term Evolution – which is effectively 4G mobile technology. HTC CEO Peter Chou made the comments in a video interview with Mobile World Live where he also said the US will be a key market for LTE-enabled handsets. "We think that the US mobile operators will be taking the lead and pushing 4G LTE in the US market... We are working on LTE devices for next year," he said. And Chou said HTC is still hedging its bets between Google's Android and Microsoft's Windows Phone 7 operating systems, saying that consumers "may want Windows or Android; or they may want big screen or small screen, they may want keyboard or tablet; HTC will let the consumer decide." Some operators – including Verizon – have already switched on LTE-enabled networks in certain US areas during the last few months. You can watch the interview with Peter Chou at Mobile World Live (registration required).